National School Backpack Awareness Day, on September 18, strives to make sure students wear backpacks safely. Improper use can lead to back pain or injury, and can certainly impact learning. On this day, teachers, students, and parents come together to make sure families are aware of the risks — and that backpacks are being worn properly. 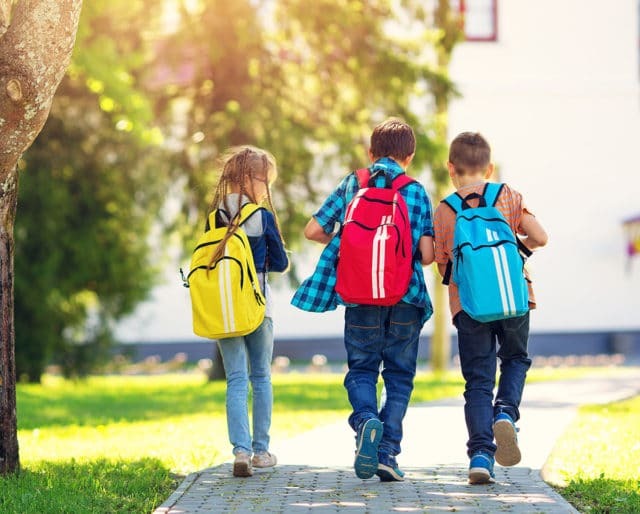 The American Occupational Therapy Association launched the country's first ever event dedicated to backpacks and safety. ​This expanded the use of backpacks to students across the country. This is also the year JanSport, the world's largest backpack maker, went into business, . It's still mostly still a tool for outdoor recreation — used on hiking, fishing, and camping trips. Experts can provide instructions on how to manage backpacks. Find out just how heavy they can get! Everyone knows either a parent or student on Facebook or Twitter. Get social, and remind friends and family about this day. Use a visual printout or bullet-point list to remind everyone about the basics of backpack safety. Slinging your backpack on one shoulder can lead to ​bad posture, and injury or pain. ​The horizontal straps help distribute the weight and keep your load stable as you move. Backpacks worn incorrectly can lead to pain or injury. That's why it's so important to check the weight and use them properly. National Backpack Awareness Day brings everyone together to learn about backpack safety. It is an opportunity to reach parents and caretakers, along with students themselves. Not only is this a chance to highlight backpack safety, it is also a chance for the community to learn about the challenges their students are facing.